But I was struck with the reality that sometimes you don’t have a choice in the matter, even after taking drastic steps to save a marriage like I did. Sometimes the decision is not something you have a say in because one person cannot force another person to do anything that they do not want to do. And because of this, divorce is something that is not only unavoidable, but needed. But God Hates Divorce…I heard that all of my life. Even though I believe that God would allow for my own divorce to take place, based on the scriptures, Divorce is still hated by him, and the reason for that hatred is different than I once thought. What I realised after going through my own divorce is that God still seemed to care for me; he still comforted me when I reflected on him crying in the Garden and identifying with the suffering of humanity. And he understood divorce intimately because his own people, including me, have divorced him many times over the existence of humanity by running away from him, and his desire is for us to follow him. God Hates Divorce because he understands the pain of broken relationships. I hate divorce, and would counsel couples away from divorce with greater importance than I would have before, when divorce was simply a law that was broken in my mind. 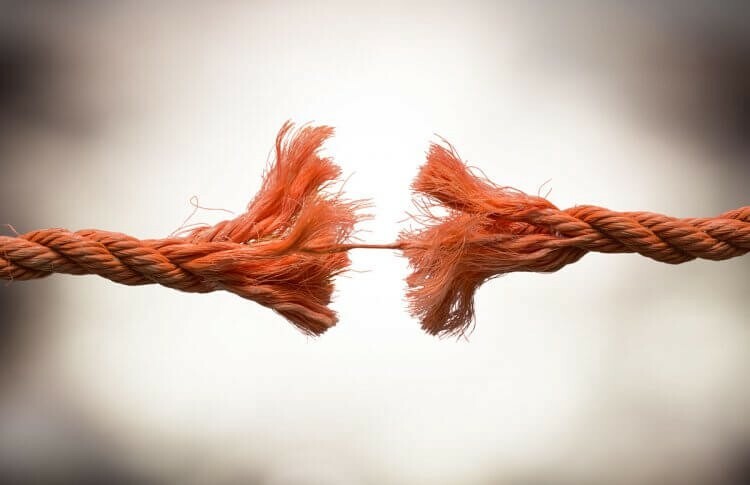 Some couples are willing and/or able to work together to restore, but sometimes, one has already decided to end the relationship before a divorce is even filed. Divorce signifies a covenant that is broken; a covenant that is meant to reflect the covenant between God and us . Your partner is meant to show you the love of God at times when you don’t think it is deserved, but when that covenant is broken, our conception of love, trust, reliance, hope, and peace is shattered. Sometimes divorce is unavoidable, and sometimes it is needed, but that doesn’t mean that God hates those who have to get a divorce…He just hates when a covenant is broken — he hates the pain we go through when that happens — before, during, and after divorce. Those who get a divorce, if they come to faith, or are able to retain or rebuild their faith, are comforted most by picturing God wrapping his arms around them, and slowly showing them that his love is still real, that it won’t leave them, and that he’s been through what they have been through. In this they know that God doesn’t hate them; he is like a parent who is in sorrow because of the pain of their child going through the end of a relationship that was never supposed to dissolve. The Father RUNS towards his children. Ending Comments — I wrote this post because I believe that God is calling me to care for those that are broken in the way of trauma, and/or divorce and marital problems. I have met many who have gone through a divorce because their marriage had crumbled due to any kind of abuse, adultery, or abandonment, and for them and for me, divorce was needed, necessary, and something that freed them in time. Many people have found true happiness again in their individual lives, and true love with another spouse. This is remption — beautiful redemption. I also wrote this post because I had not made it public that I went through marital problems yet and the divorce has now been finalized after 17 months of separation. Although making it public feels weird, it hurts me when I have to explain that I am divorced to those who care about me but who do not know about it yet and ask me how my ex-wife is. I don’t wish my ex any ill-will, nor do I want my openness to affect her life. I needed to do this for me.